Do your kids have a favorite color? 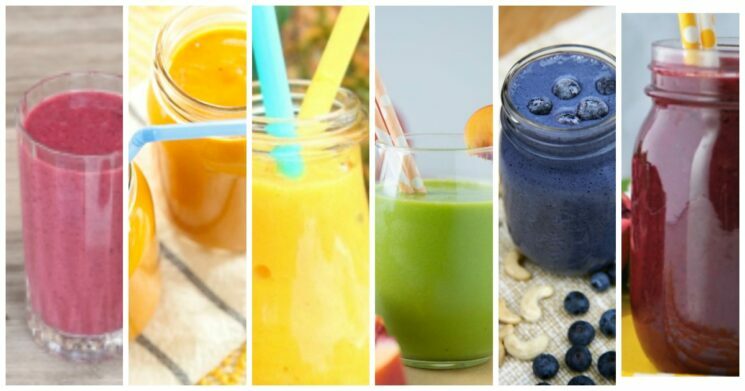 We’ve got fruit smoothie recipes for every color of the rainbow! One of the first questions kids ask a new friend, or are always prepared with an answer when they are asked is what their favorite color is. I’m not sure at what age we begin to condition kids to decide the best answer to this most important question, but it always comes up. Maybe having a favorite color is a sense of identity, maybe it’s a way to be unique, or a way to fit in. Either way, ask any child under 8 years old what their favorite color is, and they’ll likely have an answer. 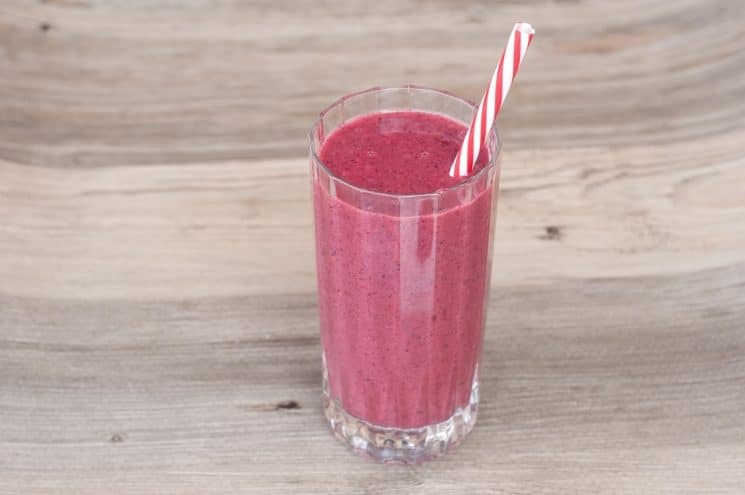 If your child’s favorite color is red, you can make a fruit smoothie with strawberries, watermelon, pink grapefruit, guava, raspberries, red apples, red grapes, and cherries. Red foods are high in the powerful anti-oxidant, lycopene. Studies have shown, lycopene can help protect against cancer, improve heart health, and even protect against sun damage. Our two favorite red smoothies are: Super Red, and this Cherry Orange Smoothie. 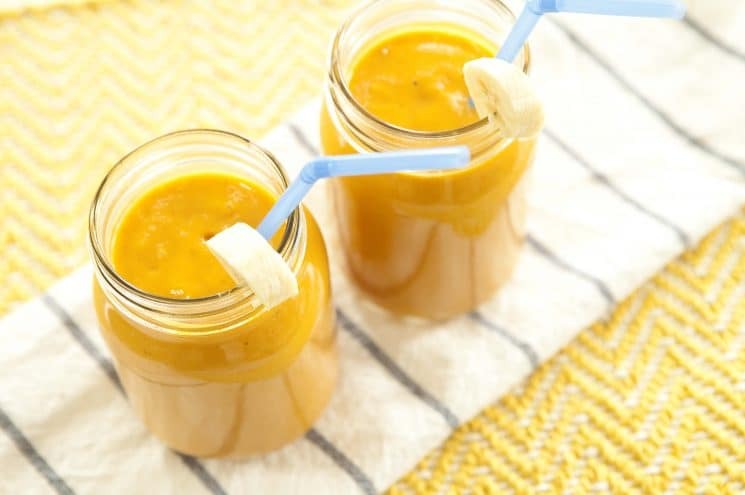 Delicious smoothies that are orange or yellow in color can be made from carrots, sweet potatoes, pumpkin, mangoes, apricots, oranges, grapefruit, pears, pineapple. Orange foods are high in Beta-carotene and bioflavonoids, fiber and vitamin A. These foods can boost immunity, reduce heart attack risk, maintain strong bones and teeth, and give you better skin. Blue is a tough color to really get. Many people will make the natural color blue using spirulina (a blue-green algae). 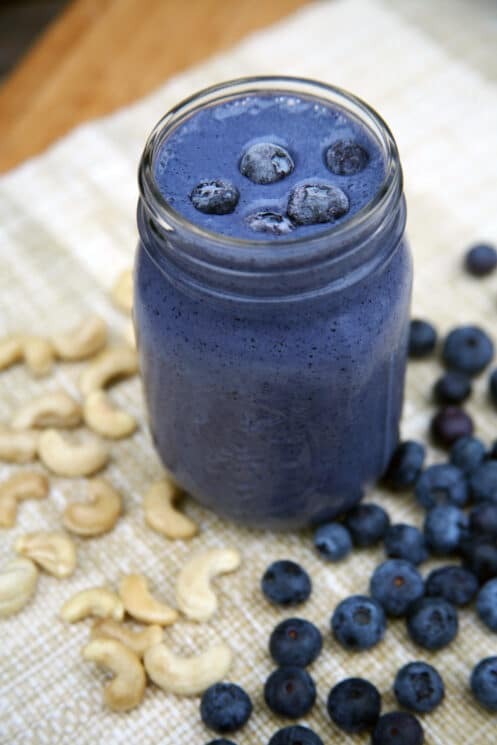 But, you can also use blueberries to get a dark blue color. Other purple and blue fruits you can use include blueberries, blackberries, grapes, raisins, plums. Blue and purple foods are high in anthocyanin and phenolics. 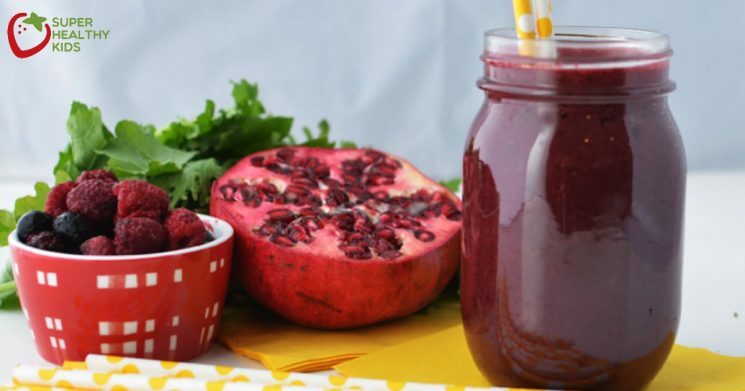 The benefits of these antioxidants is a reduction of age related memory loss, it can help control blood pressure and even slow the effects of aging. Green is the easiest smoothie color to make! 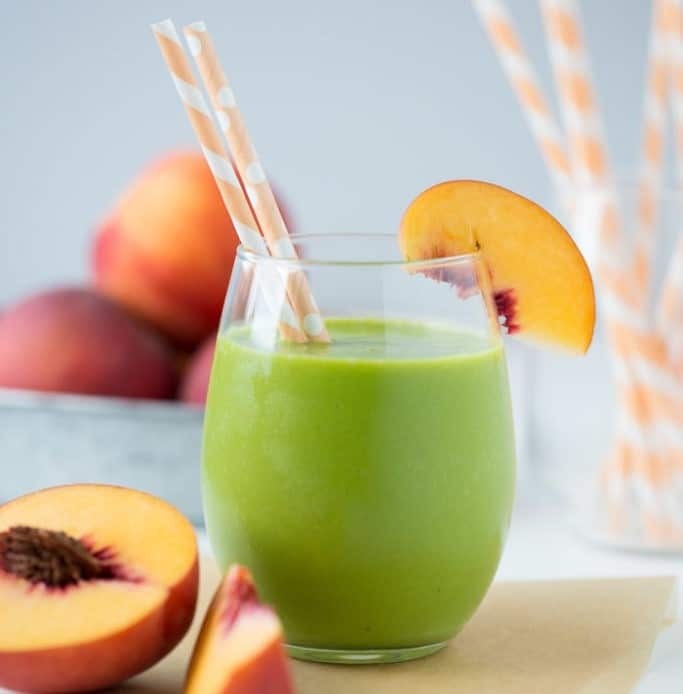 Using light fruit (like mangoes or peaches) combine with some greens like kale, spinach, leafy greens, broccoli, honeydew, peas, kiwi, collard greens, or swiss chard, can give you that brilliant green smoothie glow. Green fruits and veggies are strong in lutein and indoles also fiber, potassium, folic acid and some B vitamins. These chemicals are known for maintaining good vision and reducing risk of tumor growth in cancer patients. This Green Peach Smoothie is one of our favorites for green loving kids! If you want to experiment, use your own favorite ingredients and our How To Build A Perfect Green Smoothie printable chart from here. 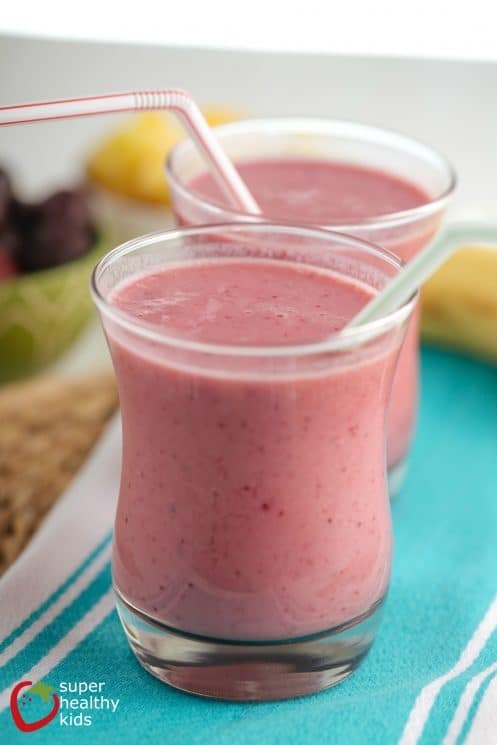 Don’t wait till your kids have outgrown the”favorite color” stage of life to get started making a fruit smoothie with their favorite color today! Want more ideas to eat a rainbow? 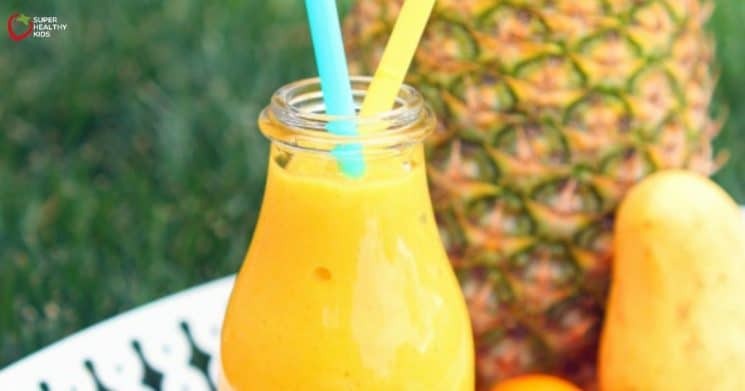 It sound so yum and easy to make these smoothie! Thank you for sharing!